1.Heat a medium sized saucepan over medium high heat and then add your vegetable oil,red onion and garlic,fry for 30 seconds. 2.Add your grated zucchini,potatoes,chopped carrots,cubed tomatoes and a teaspoon of tomato paste,add salt and black pepper to taste and lower heat to medium low and fry the vegetables for 3-5 minutes till tender. 3.Add your fresh beans and corn/maize then add enough stock or water ,simmer covered for 20-35 minutes till stock reduces and you have a thick sauce. 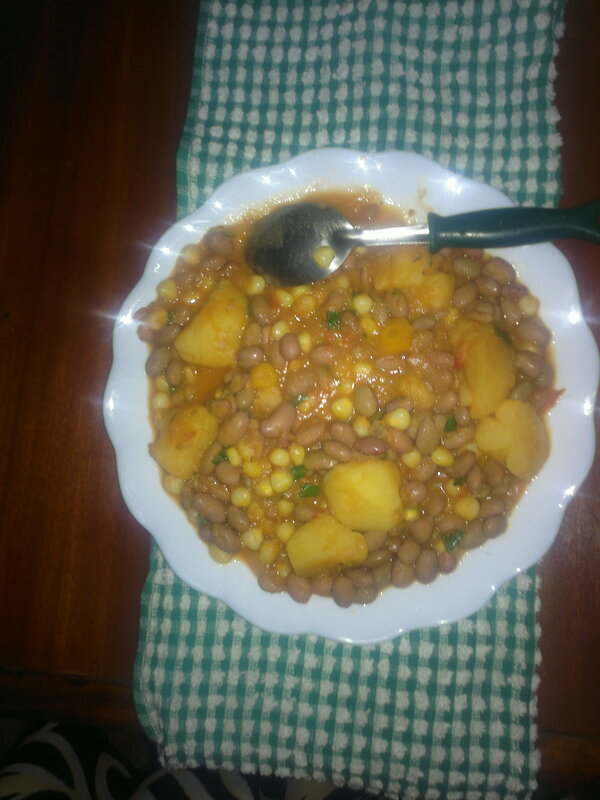 Other variations to having this Kenyan staple include having it as a salad.